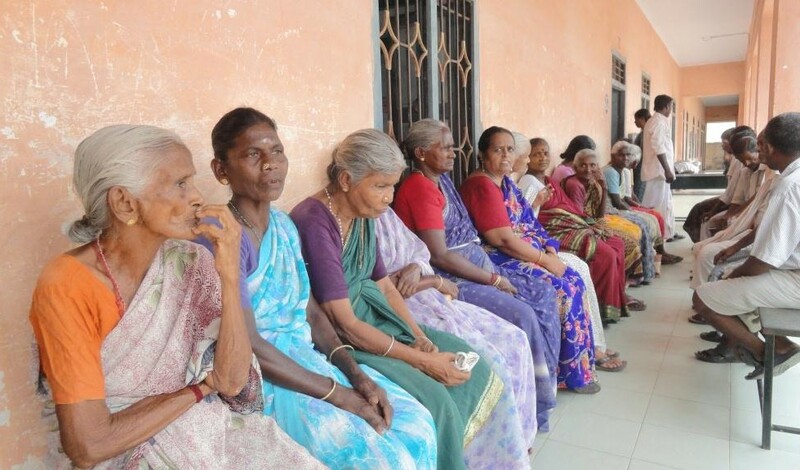 Out of 238 participants, 12 of them had Cataract operated and IOL lens fixed. 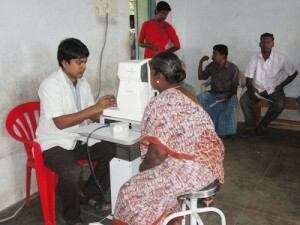 Short Vision lenses provided to 41 of them and Distance Vision power lenses provided to 57 Beneficiaries. In this picture Mr. Anand from Pudhupalayam village is receiving the lenses from Mr. Sriram Subramanya, Managing Trustee, Sriram Charitable Trust (CSR Arm of Integra Software Services Pvt. Ltd.). 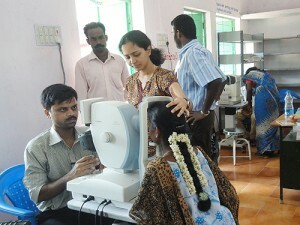 Eye camp at Mellanjeepattu on May 25, 2011. 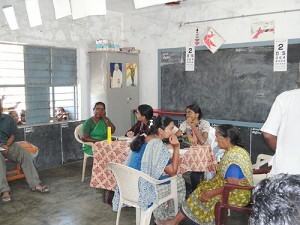 67th Eye camp held at Oraiyur, Cuddalore District on August 23, 2012.